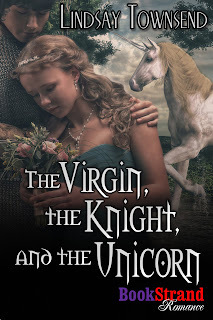 This story is a sequel to my Medieval Creatures 1 book, The Virgin, the Knight and the Unicorn. Ahead he could hear a deep rumbling, like a cat purring—a cat the size of a hut. There was a smell of blood in the air and a savour of roasted meat. Dragons, like wolves, prefer to feast on horses, not men. From where had that thought sprung? Jesse felt for an instant as if he was bathed in heat—real, forge-hot heat. Older memories and stories trickled up and down his back in a messy puddle of sweat. A dragon. Walter the shepherd whispered there was once a dragon up on these high grasslands. A creature of faery. Maybe it has returned. The sweat turned clammy on his back. Trying not to stiffen up, Jesse choked down a cough. Above him, how high and how far off he did not want to know, he listened to the sounds of gnawing. Turn back or go on? Either action held both appeal and risk. To retreat might mean survival or a blast of fire at his back. To go on—if he bested a dragon, he would be as famous as Beowulf. No doubt Beowulf was an elder son . With my luck, I could win and gain nothing but a few coins for my trouble. Any treasure would be claimed by my older brothers. Jesse stopped crawling. 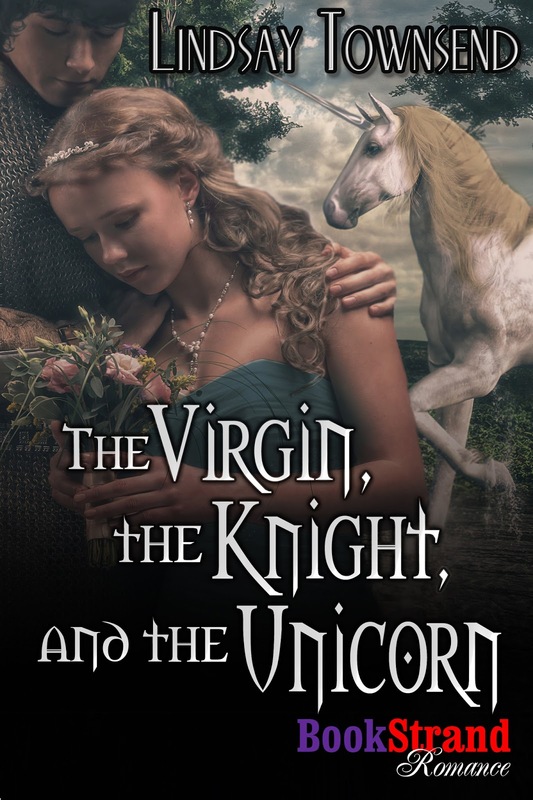 Roast horse swirled in his nostrils and, despite his wavering dread, his mouth watered. Wanting to travel light and make haste, he had not eaten well for days. Succulent, hot meat tempted him to raise his head. A dragon rose on its haunches to tear and swallow a morsel of some animal that once may have been horse. Again Jesse’s hunger flared. His older brothers would never have attempted what he planned, but that was a virtue. Why not? he decided, as the dragon took another bite. A dainty bite, he noted, for a beast as long as a cavalcade. It did not kill the knight. The thought was almost a prayer. Inspired—or mad, or truly desperate—Jesse threw down his weapons and rose out of the grass, his hands filled with herbs. He averted his eyes, hardly daring to look. “Good day.” He was glad he had planted his feet wide apart and pitched his greeting above the steady breeze of the dragon’s breathing. “May I join you? He stepped forward, placed the herbs on a boulder, and stepped back. “The marigold is simply for the colour,” he added, his throat growing dry again as he sensed the dragon leaning closer. It must work, a wild, mad babbling voice wailed in his head. Dragons are said to be silver-tongued and to understand speech. And I like animals. Jesse had worked with hawks, horses, oxen, sheep, chickens, and goats and found each creature appealing, in its own way. Dragons were creatures of faery, and perhaps more. If there is a dragon, there must be a maiden close, a living maid. The old stories always have both. Those jaws of hell gaped nearer, each tooth sharper than any sword. Through his half-closed eyes, it seemed to Jesse for an instant that the beast was smiling, which was surely impossible. Determined to look his probable death in the face, Jesse stretched on tiptoe, raised his head and stared. Now he could study it more closely. The dragon was a shining gold blending to silver, lean and long as a vast snake or a whip, but with powerful legs and a deep chest. Jesse could not see any wings, but he did note, with a certain detached surprise, as of someone who could perish at any second, that the beast was ornamented with flashes of silver and gold scales about its neck, like a necklace. It had a narrow, almost elegant snout, prick ears topped by small, shiny spines, and deep large eyes the colour of an emerald. Strangely beautiful eyes that were considering him in a thoughtful, almost tender way . “Thank you.” The voice sounding in his head was not his, though how had the dragon spoken? Jesse decided not to trouble over that and made a bow. He sensed the dragon deftly plucking at the herbs, heard the faint scratch of very sharp claws on the boulder, then flinched as a round cut of steaming horse steak was placed on top of the boulder, laid neatly beside the rest of the herbs. No one would believe I shared my dinner with a dragon. Jesse ate in a daze. The meat was cooked to a turn, and tender. “Thank you for the flowers.” Again the voice that was not his sounded in his head. A wave of heat surged over his neck, followed by a percussive clap of huge, scaly wings. The force half stunned Jesse, and when he stirred again the dragon was gone. Jesse shook his head. The woman seemed to be wearing nothing but a cloak. She had a flower in her electrum-pale hair, a marigold. The same as the spray I gifted the dragon. She has the same colour scales—sorry, hair—as the beast, and the same deep green eyes. What is going on?